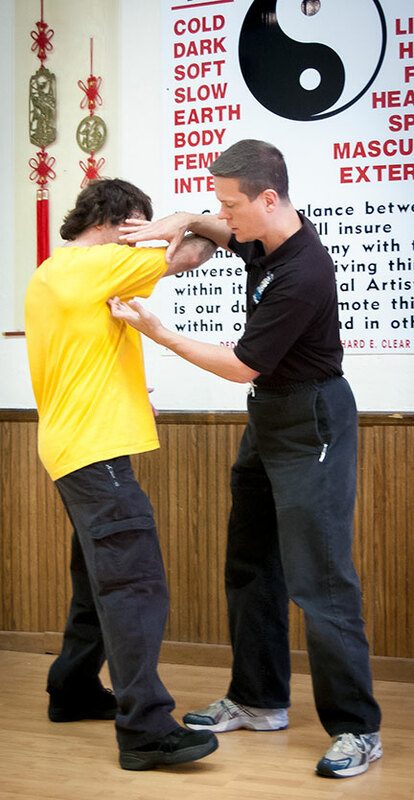 Ask questions, find training partners & discuss Tai Chi with other Clear's Tai Chi students,instructors & Sigung Clear. As a formless fighting member you will receive a complete set of the Formless Fighting DVDs. No forms, No complicated techniques, No abstract theory. Learn to take advantage of your opponents weaknesses. Learn to Generate Power from Softness. Instant Online Access – Once you join you will receive access to the members area. Right now there is a condensed training series titled “Intro to The Ghost Method” waiting for you. These 15 lessons will teach you the heart of the Tai Chi fighting method. How to become a “ghost” to your opponent. The ability to stand right next to an attacker without them being able to hit or grab you. This skill is the foundation of Tai Chi fighting. Each week new lessons will appear giving you deeper insight into this powerful fighting method and expanding your skill and proficiency. This is a 6 month program. After the 6 months are up, all the lessons will be available and you can return anytime to review lessons and ask questions. Enrollment is closed until Fall 2018! ORDER NOW! Get the 14 Disc Formless Fighting DVD set. CLOSED Yes, this includes lifetime access to the Online Course AND all of the DVDs. Enroll Now!